This document provides instructions on our Followers extension setup. Show followers stats in member directory - If turned off, guests will not be able to see the followers stat in member directory. 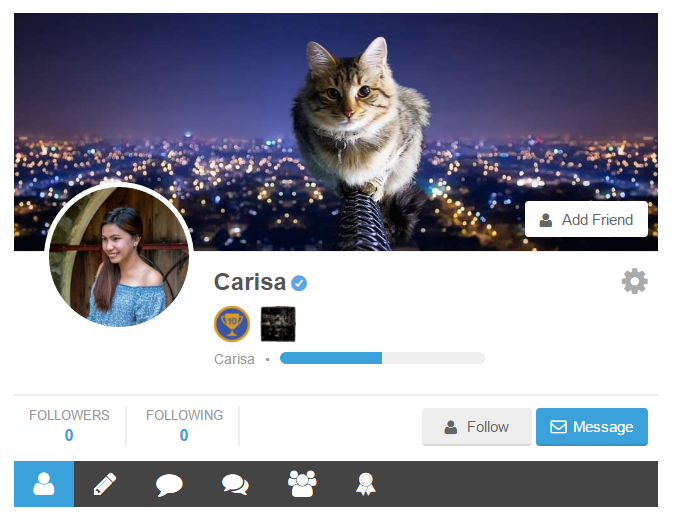 Show follow button in member directory - If turned on, the follow button of a user will show on the member directory. 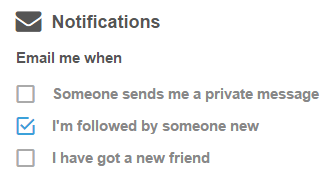 New Follower Notification - If turned on, a user will receive an email whenever a new user clicks the follow button on their profile. You can also customize the subject line and content of the email. This extension also allows you to set which roles a user role can only follow. To set specific role, please go to WP-Admin > Ultimate Member > User Roles and edit a user role. You will then be navigated to the Edit User Role page. On this page, scroll down to the Followers options. 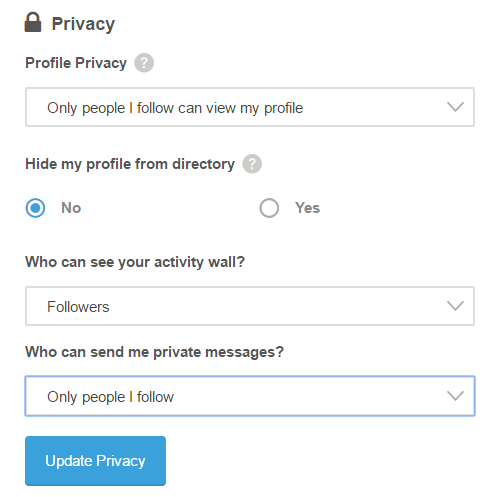 Users are given additional option to set their profile privacy, activity wall and private messages to people they follow or their followers. When the Notifications extension is also integrated on your site, users can turn on or off email notifications for new followers directly on their account.